The ASCO Annual Meeting, the largest global oncology meeting and increasingly the centre of a kaleidoscope of social media coverage each year. As a snapshot, 2014 saw 40,000 tweets and 140m+ impressions over the conference days, 2015 grew to 60,000 tweets and 250m+ impressions and the 2016 buzz is already louder and more plentiful than last year. 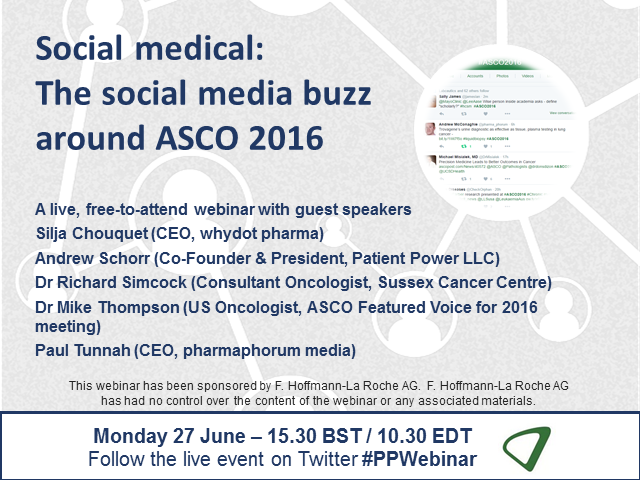 This webinar will examine the conversation around ASCO 2016, its relationship with ASCO, value to and involvement from stakeholder groups and how it will potentially continue to evolve into 2017.